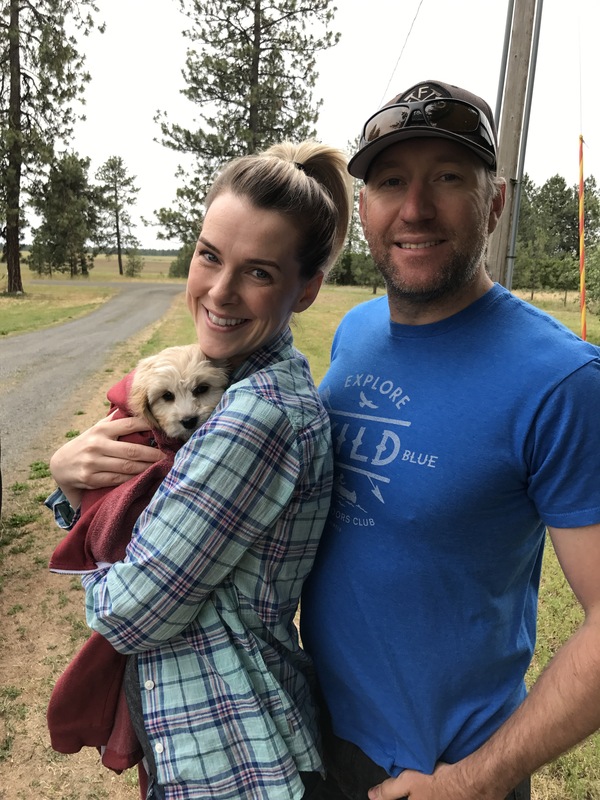 School is out, summer is here, and I am back to being present on my blog with lots of fun stuff happening this summer. To give a quick recap, we had 2 litters born on April 21st and the first of those 8 puppies went home yesterday! “Arlo” was a surprise for the children in the family and they all came for a nice road trip to meet him and pick him up. He’s adjusting well and the family loves him lots! The rest of the puppies from those two litters will be going home in the coming weeks and a couple of them will stick around until July to be accelerated. Scarlet’s litter was next, and we have one puppy still available from that litter. I’m talking to a couple people about him, but if they both pass he will be available to people not on the waiting list. Be watching for updated photos and videos of Scarlet’s litter. Here is a look at the current waiting list. It is very short right now, and we have several litters on the way. Now is the perfect time to get on the list with a very short wait to bring a puppy home. We are expecting four more litters this summer, so there will be plenty of puppies to choose from! 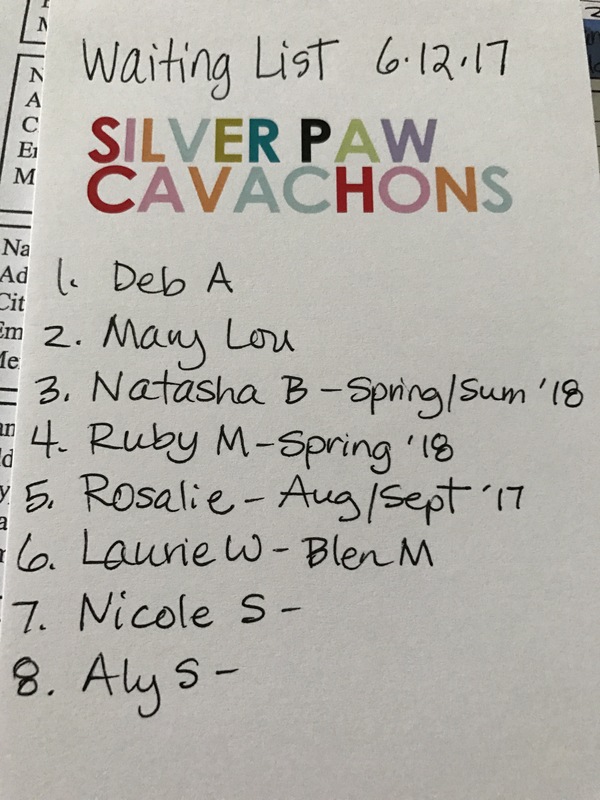 I will be posting new videos of all the puppies on our Facebook page, and if I figure things out I will post links to our Silver Paw Cavachons YouTube channel. Looking forward to the crazy puppy summer we are going to have!